We’d love your help. Let us know what’s wrong with this preview of Anzac, The Unauthorised Biography by Carolyn Holbrook. The Australian and New Zealand Army Corps (Anzac) remain at the heart of Australia’s national story. But standing firm on the other side of the Anzac enthusiasts is a chorus of critics claiming that the appetite for Anzac is militarizing the nation’s history and indoctrinating their children. Anzac, the Unauthorised Biography cuts through the clamor to provide a much-neede The Australian and New Zealand Army Corps (Anzac) remain at the heart of Australia’s national story. But standing firm on the other side of the Anzac enthusiasts is a chorus of critics claiming that the appetite for Anzac is militarizing the nation’s history and indoctrinating their children. Anzac, the Unauthorised Biography cuts through the clamor to provide a much-needed historical perspective on the battle over Anzac. It traces how, since 1915, Australia’s memory of the Great War has declined and surged, reflecting the varied and complex history of the Australian nation itself. Most importantly, it asks why so many Australians persist with the fiction that the nation was born on April, 25 1915, with the beginning of the Gallipoli campaign. 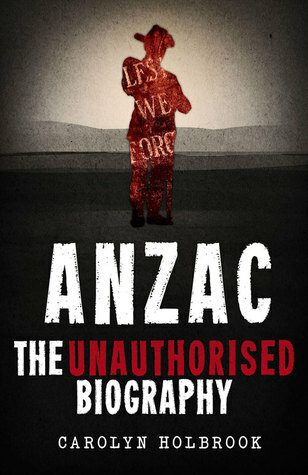 To ask other readers questions about Anzac, The Unauthorised Biography, please sign up.